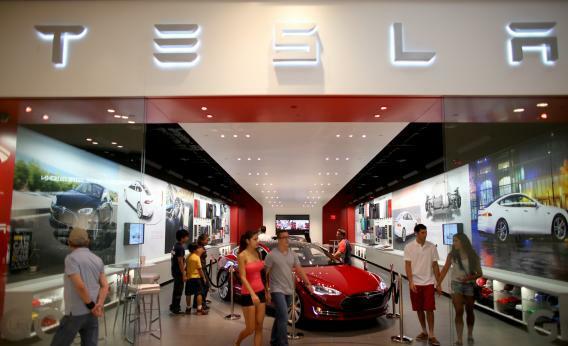 Tesla petition: White House forced to weigh in on stupid state laws blocking sales. As of Tuesday, more than 100,000 people have signed a WhiteHouse.gov petition from an anonymous Tesla lover to let the electric-car company sell its cars directly to consumers in all 50 states. That means it has met the threshold for drawing an official response from the Obama Administration. The petition is aimed at a series of boneheaded state laws and regulations aimed at protecting car dealers from competition. As I reported last month, one of the most blatant was a proposed law in North Carolina that would have prevented Tesla from selling its cars in the state at all, even over the Web. After a backlash, the state legislature killed the bill last week. But the state’s auto dealers say they’ll keep fighting, and barriers to Tesla’s direct-sales business model remain in a slew of other states. Tesla critics like to point out that the Tesla Model S’s $70,000-plus price tag puts the car out of reach for the average American. But the success of the White House petition makes clear that it isn’t just wealthy Model S owners who are rooting for the company. It’s also people who are excited about electric cars’ potential and eager for Tesla to succeed in its stated goal of offering a car for half that price within the next three to four years. But if those who created and signed the petition have common sense on their side, they’ve evinced a relatively weak grasp of the separation of powers. The president would seem to have little say over the state laws in question, and only slightly more influence over any potential federal legislation. That said, these petitions sometimes have a way of getting balls rolling. And if nothing else, the White House response is likely to draw more national attention to a bunch of boneheaded laws that deserve to be scrapped. It will be interesting to see what Obama’s team has to say.